The WinterCraft ICE WP51 was designed for exceptional performance on wet, wintery roads. The directional tread delivers excellent grip in the snow, with wide lateral grooves to clear snow and water quickly. The interlocking block design also improves lateral stability for better dry performance.Ideal for passenger, SUVs, and crossover vehicles. Exceptional winter handling, with a directional treaddesigned to clear snow and water quickly. Improved dry stability from an advanced interlocking block design. Excellent grip on ice, through a high-dispersion compound and advanced honeycomb snow-sipes. Newly developed High Performance Tyre. Directional pattern design offering excellent resistance against aquaplanning. Enhanced grip on ice and snow through latest sipe technology. Silica tread compound for short braking distance. For compact and medium cars. 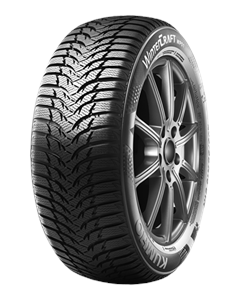 Sorry, we currently do not have any tyres with the Wintercraft WP51 pattern in stock.